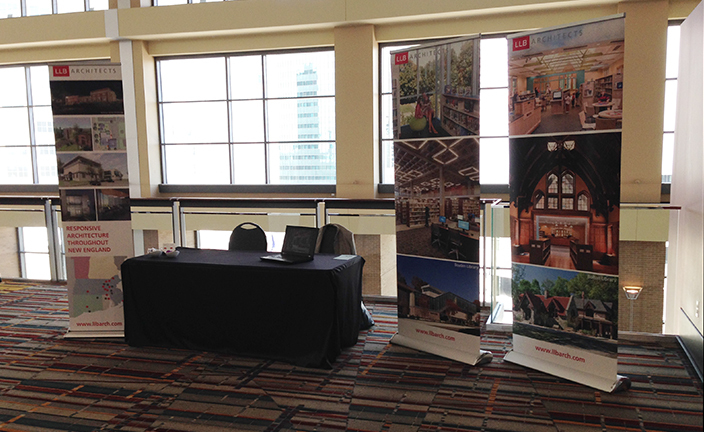 April 21, 2016 – LLB Architects participated in the 125th Connecticut Library Association Annual Conference. The conference took place at the Connecticut Convention Center in Hartford, Connecticut. The conference them was “Libraries through the Looking Glass – reflecting on the past while stepping into the future”. If you attended the conference and did not get a chance to stop by our booth, please reach out to us to let us know how we can help you plan for your library in the future. Call us at 401.421.7715 and ask to speak to our principal in charge of library planning, Drayton Fair.